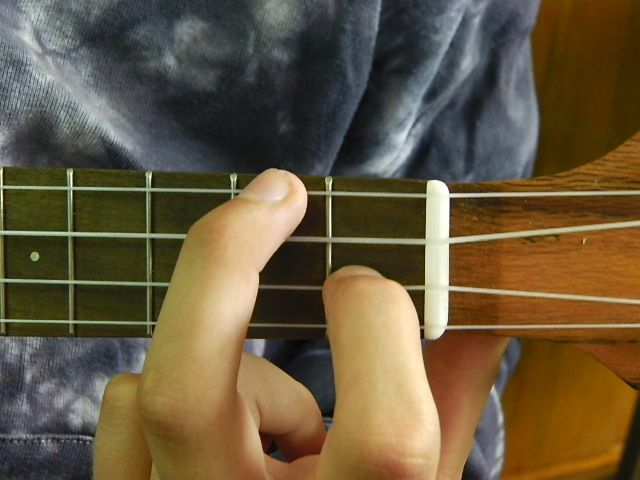 The next chord we will look at in the ‘Play a Ukulele Chord’ series is the F chord. You can click on the ‘Chord Diagram’ and the ‘Looks Like’ photo to make it bigger. Press the red arrow head in the ‘Sounds Like’ cell to hear a F chord played. There are two strums in the sound file. Firstly, a down-down-down-down strum. Secondly, a down-up, down-up, down-up, down-up strum. Each strum is played twice, the second time the strum is played is faster than the first. ← Ukulele 4 Kids reaches 10,000 views! Cool keep up the good work. I am teaching my 9 year old niece and the enjoyment she gets from learning is great. Nice site – think it may help me too and I’m 36 …… 1 week old uke is my first instrument ever so starting from the basics.